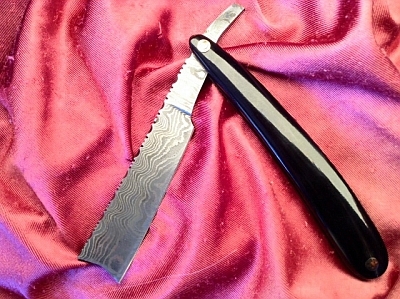 Just arrived we have a small amount of Damascus Steel Razors, this is one of the rarest razors in the world with an extra wide blade, no one is the same as the other. 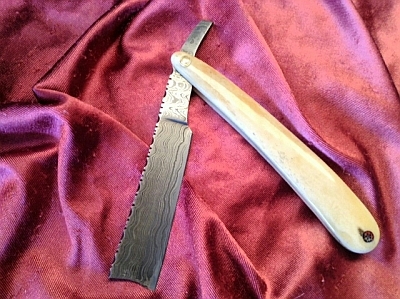 Hand forged and hand made in the same way for over 500 years, each blade is unique and is an ideal collectors item even if never used on your own face, but purely for decorative purposes. 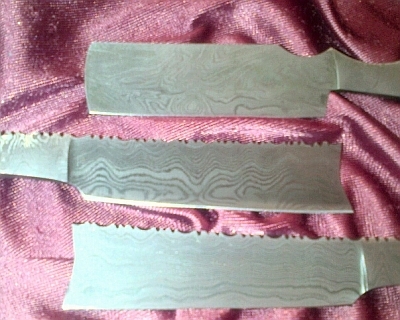 Because of the unique forging and patterning, this is the rarest of all items, some having damascus steel scales (handles), some bone and others buffalo horn. 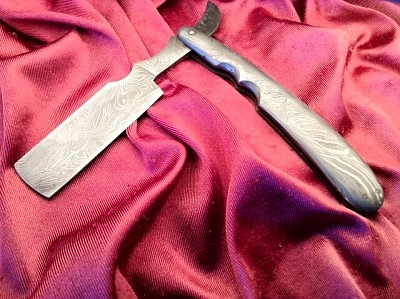 Tungsten and/or vanadium steel is used for some scales, these are made from the very same steel as that the blade is forged from, molten and folded many, many, times over, to the same standard as the blade's finish, it's folded more than 100 times over, giving it a wonderful look to the Damascus steel blade at R 3,995, these are the opportunity of a life time to collect. The Buffalo Horn and bone are superb and extremely rare and highly polished. The bone scales are magnificently and highly polished to give it the look or appearance of old Ivory, no one is the same as the other and the Real Buffalo horn and Damascus steel makes you the proud owner of one of these rare and beautiful items. Both of these above items are available for R3600 each. We really believe that these rare collectors items make a wonderful gift and a superb investment but there are only a few, so don't leave it to long to grab yours.